We are having a wonderful time in Brazil. 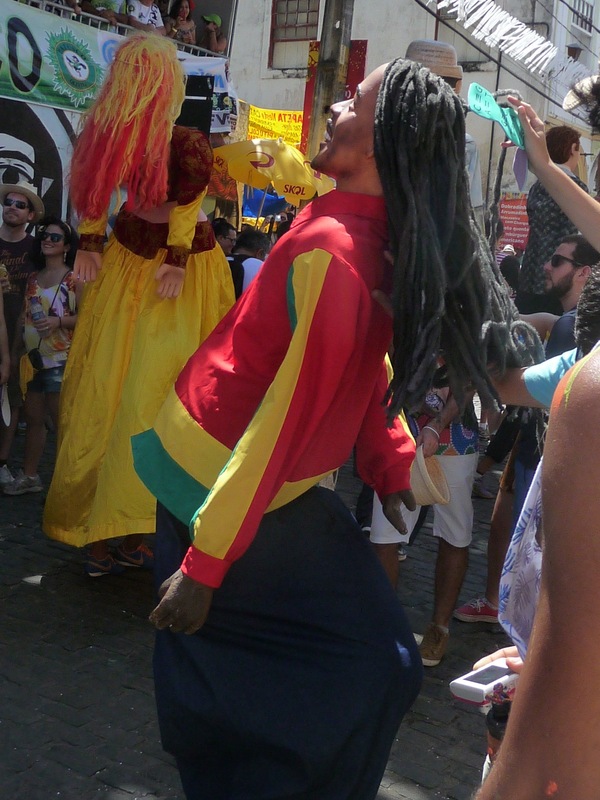 Carnaval is at its height. Bands with dancers (organized by Blocos) constantly waltz through the streets. Music — always, everywhere. 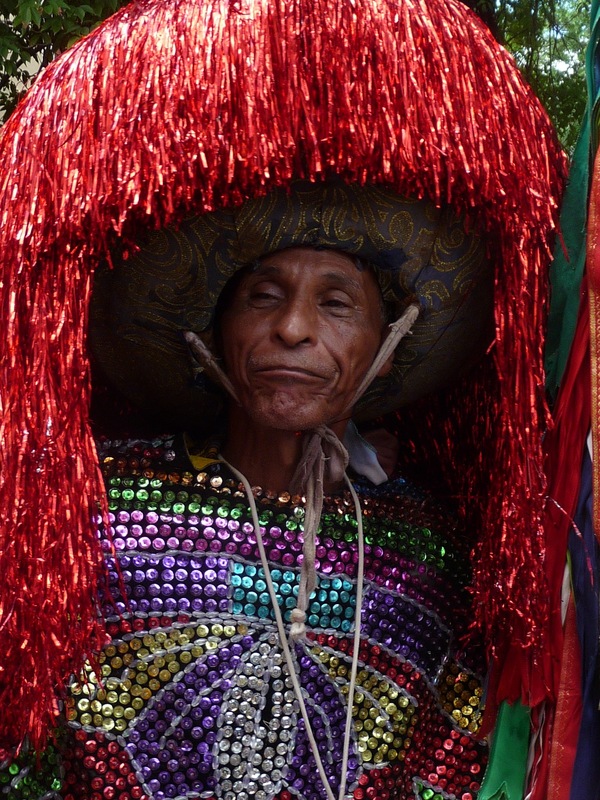 Smiling, colorfully adorned people — very friendly and welcoming. 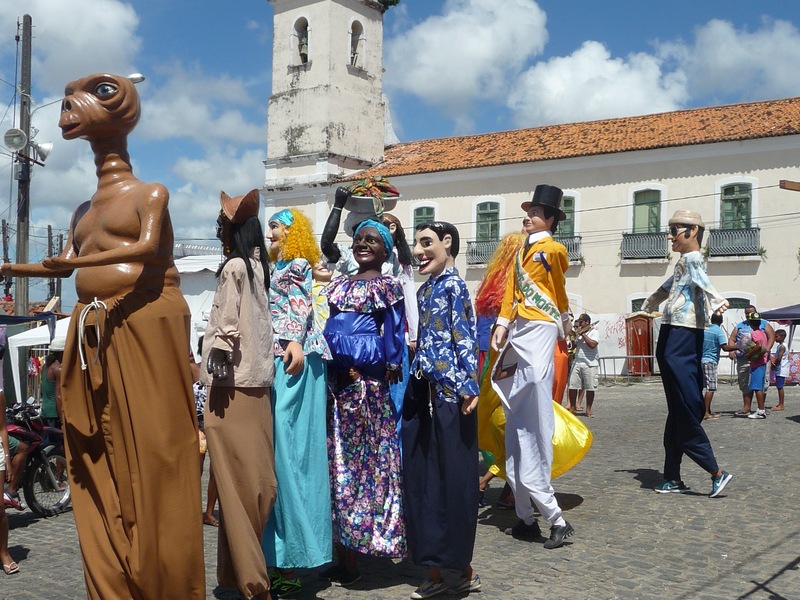 Yesterday I followed a children’s parade — dressed as Bonacoes: grand-sized figures, mostly human, often politicians (to be mocked, at times) or famous people, or traditional “types” of the culture. The children were darling: often bowing to the cheering bystanders and local people watching out their windows. This is a cultural celebration — very rich, indeed. See photos! Today the Coboclos came through town. “Coboclos das Lanzes”, they carry be-ribboned staffs. 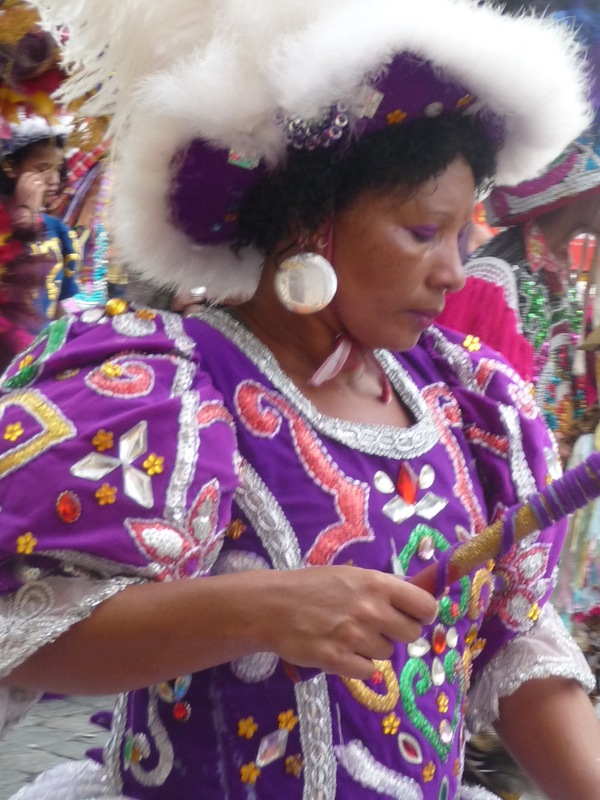 These are amazing, traditional dancers, “country bumpkins”, who come from the Sertao: the interior desert, a very dry area. 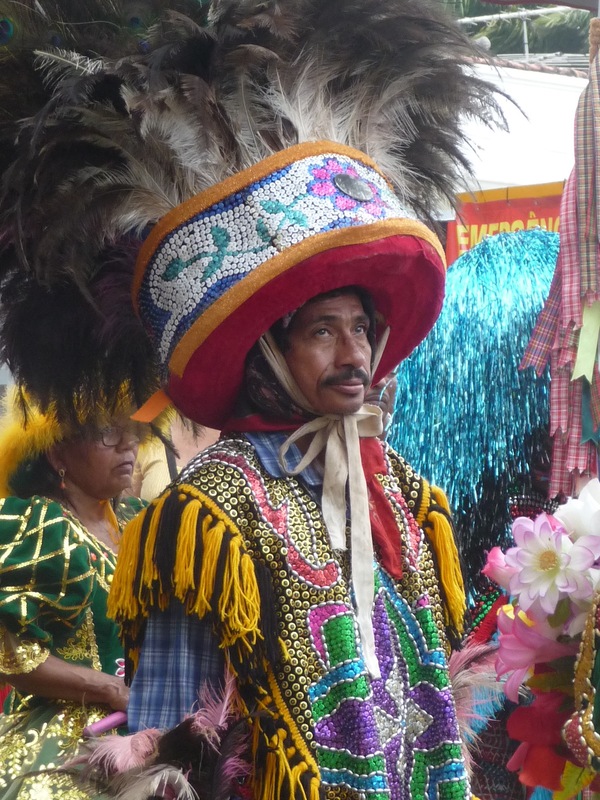 A mixture of Portuguese and Native Indian people, they combine Native dress and ways with elaborate costumes of feathered headresses, jeweled and sequined capes. A clownish look is topped by “hair” — huge mops of hair, long, usually red-colored, or yellow, or orange that conceals the face. Many carry flowers in their mouths. And we are warm! Which brings out the creativity us, as we relax deeply.